TtMadrid was started by a team of qualified TEFL teachers and TEFL trainers with extensive experience in the field. We are dedicated to providing quality TEFL teacher training, ensuring our trainees have full support and guidance both during their TEFL course here in Madrid, Spain and after the course. Our TEFL course in Madrid is geared towards providing trainees with practical teaching experience within an internationally recognized pedagogical framework. Our primary focus is to give teacher trainees an edge when seeking TEFL work in Spain and elsewhere, and the confidence to feel at ease in the workplace. Working abroad and teaching English can be both challenging and rewarding. We give our trainees all the tools they need to become successful TEFL teachers. The content of our TEFL course is unique. As well as meeting all the requirements set out by our Accrediting Body, our program recognizes the importance of business skills. In our experience, this emphasis means that our trainees are well placed to get the best and most well-paid teaching jobs whilst working in Madrid, Spain and elsewhere in the world. Throughout the program, our trainees are supported and encouraged during every stage. You won’t be disappointed with any element of your course. Whatever your reasons for wanting to do a TEFL course, Spain is a great destination and we will help you achieve your dreams and ambitions. We truly have an international team, with over 13 countries represented! To find out more about our courses and receive our information booklets, fill out our enquiry form and we will get back to you ASAP. From my personal experience, it’s really challenging moving to a new country as you’ll need to sort out; accommodation issues, paperwork, insurance, banking etc. But hey! worry not. I’ll be here to help. Find below some of our services to our students. And if you have any questions, feel free to contact me anytime. You can choose to find your accommodation through our housing agent, through the Homestay Exchange Program, or just do it yourself. We welcome you to join our Facebook Housing group in which students are constantly advertising available rooms as well as links to further housing websites. For more information visit our accommodation in Madrid page. With our year-long programs, you’re getting a visa, including support with paperwork and guidance through the whole process. 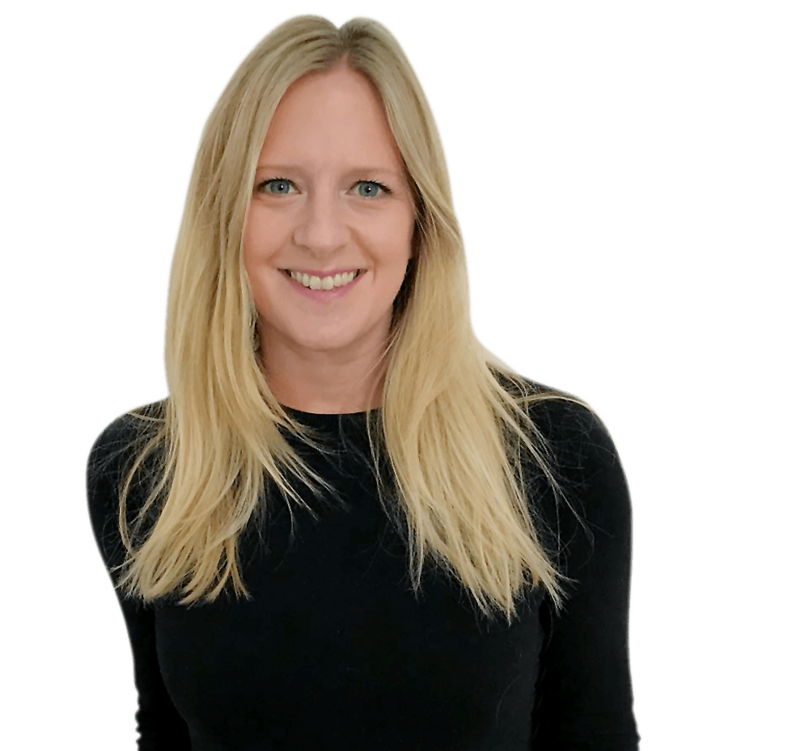 Our Academic Program Manager Helen has helped hundreds of students through the visa process so she knows exactly how it works. Once you get here you need to have a couple of appointments to finish off the process and we guide you through those too. Living in Spain you’ll need a local bank account to finish your paperwork and its generally a lot cheaper, than using the one you have at home. During the course, a representative from a Spanish bank will come to help you set up your account in English so that you are ready to complete any banking transactions you need while in Spain. This is all included in the price of your course. TtMadrid is committed to offering you complete “after TEFL” support. This includes helping you find all the teaching jobs you desire and keeping your teaching schedule full. 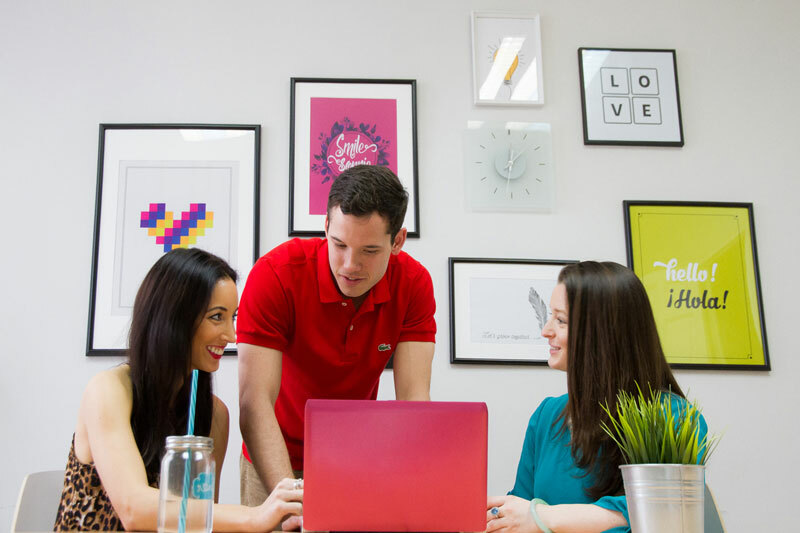 For this reason, we have an excellent relationship with the top English language agencies in Madrid, who all recognize the quality of our course and prefer to hire our graduates. Find out more about it here! As part of the Student Visa application process, you are required to buy insurance that covers you for your entire stay in Madrid. Safety comes first! Visit our Insurance in Spain page and find out more about the insurance company we work with. We can also advise you on the insurance requirements if you decide to go with a different company or already have one. Being a student at TtMadrid has many advantages! One of them is that you will be able to enjoy plenty of discounts in stores, bakeries, bars, restaurants and coffee shops around the neighborhood by showing the student card you will have access to once you start the course. Don’t forget to bring a passport sized photo and you’ll get a personalized ID card in just a few hours! Moving to Spain and leaving your family and friends behind can be a bit daunting so we make sure you’ll have a strong support network upon your arrival in Madrid. TtMadrid graduates tend to be very close for a number of reasons. First of all, TtMadrid provides intensive support for your transition to Madrid. With everything from opening a bank account to getting a phone, someone will help you adjust. As a result of this, and the intensive nature of the course, trainees form strong relationships during the course with each other and with a large number of graduates who constantly stop by the school for coffee, resources, and advice. We also put together various social events all year to help you get out there and get to know Madrid and fellow wanderlusters. You will be always welcome to join the graduation parties and you’ll get to experience the best bars in Madrid through the eyes of grads. That’s right! 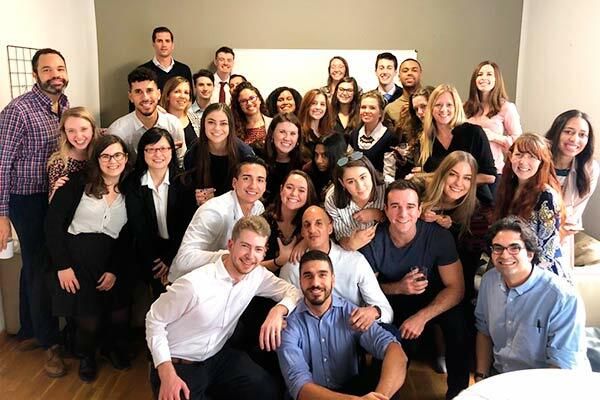 We also have the newest grads take out the new trainees for tapas and cañas to provide them with interesting tips for their new lives in Madrid. When you become a grad, it’ll be your turn to plan something nice for the incoming group. It’s impossible not to make friends like this, huh? Want to meet people before you arrive or get some impartial advice about our course? Why not chat to our graduates on Facebook. Facebook has become a very easy way for us to communicate with you both pre- and post-course. 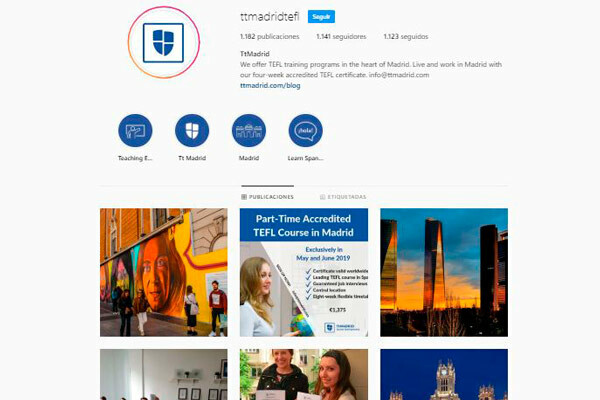 If you would like to talk to our graduates and meet others who are coming on your course you can join our newbies group (search for TtMadrid Newbies). We also have a Facebook page where we keep you posted on the latest social events, teaching tips, photos, websites for planning classes, Tt gossip, opportunities, etc. We make sure that whatever we see, you get to see it as well! Last but not least . . . don’t forget to check our blog periodically. We constantly upload articles about everything you need to know about life in Madrid. Our school is located in the center of Madrid, with shops, banks, supermarkets and the metro really close by. The school is modern, spacious and equipped with everything you might need while doing your TEFL course. We have a library with lots of books for you to plan your lessons, as well as a beautiful resource room where you can use our computers or bring your own laptop if you prefer. There’s always a place for you to get comfortable and work! We also have a fast and high tech industrial printer and photocopier so there is no hanging around waiting for your materials to print. In addition to this, we have eleven classrooms with natural sunlight that were recently redecorated and are equipped with computers and speakers so that you can use technology while teaching if you want. 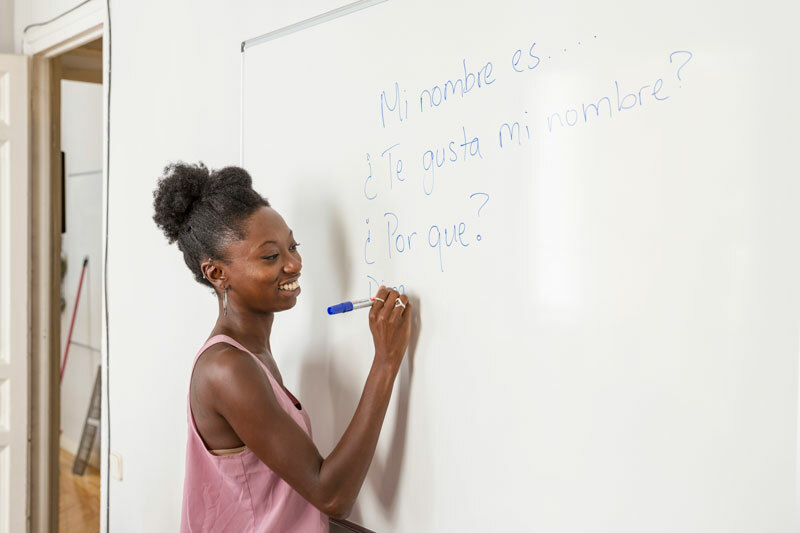 We even have an interactive whiteboard—one of the most modern ESL classroom resources! More academies and schools are starting to use them so we want to make sure our trainees become familiar with using this new technology. All trainees will have an opportunity to teach using this whiteboard. We all know that the course is tough, so coffee is one of the essentials during the 4 weeks! 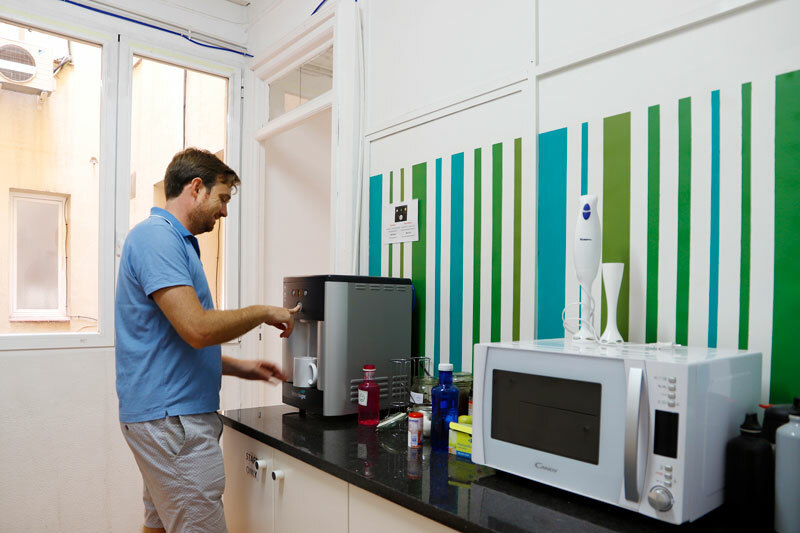 You can make coffee and tea whenever you like in our brand new kitchen. It’s got everything you could possibly need: a vending machine, a fridge, plates and a microwave. Everything is there for you to use and enjoy whilst on your breaks. Since we know that resting is almost as important as studying, we designed a chill out room for you to spend your free time in. It is the perfect atmosphere for you to recharge batteries and rest when needed. If you’re ever in Madrid, come visit us! We will be happy to have a cup of coffee (or tea) and give you a tour around the school. Come visit us! We will be happy to give you a cup of coffee (or tea) and a tour.